This will be interesting to see if Rick Perry and Greg Abbott tell him to stick it up his Azz. In a development that should outrage every red-blooded, patriotic American, the Obama Administration announced that international observers in the United States cannot be arrested by state law enforcement even if the United Nations representatives violate state law. individuals from outside the United States are not allowed to influence or interfere with the election process in Texas. This State has robust election laws that were carefully crafted to protect the integrity of our election system. All persons—including persons connected with OSCE—are required to comply with these laws. Of course, the internationalist leaders of the Organization for Security and Co-operation in Europe (OSCE) and the United Nations have no appreciation for the concept of state sovereignty. Like most European socialists, they see national governments as supreme, free to dictate any directive to individual states. If they know anything about the US Constitution, they likely consider it hostile to their internationalist aims. We as a nation had better wake up, and soon. Internationalism is moving in at hyper-speed under the banners of both political parties. And it is not moving us anywhere close to where our Founders intended the nation to be. Rather, it’s consolidating power at the top, in direct competition with individual freedom. And remember this: forces of internationalism hate the United States Constitution. Although activist justices and lawless political leaders have done their best to sanitize it of any original intent, the US Constitution still stands as the foremost barrier to the ultimate goal of an international, socialist form of government. We must rally around the Constitution and demand that our leaders do the same! Zero doesn't understand Texans any more than economics. Umm... Do they have Diplomat status? If so, PNG them and send them out of town! I would charge them as "Terrorist" and vet them as such thru the legal system; in the name of "Home land Security". That will take a while. I say shoot them and send them back to the White House. Obama is used to being responsible for people winding up in body bags on his watch. Arrest them now, ask forgiveness later! Then send them on down. We'll give 'em a Texas welcome. PS: ride along with them - we would love to see you. I think Obama is lying through his teeth. There are few people with more power in this country than a county sheriff. 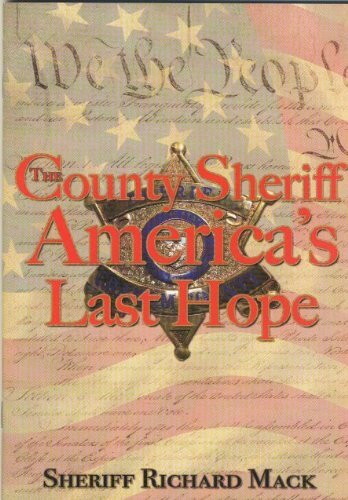 Mack believes a sheriff’s authority is so great that he or she doesn’t have to obey the president. The sheriff said it would be his duty to turn away a federal agent from the county — including an IRS auditor — if the agency was overstepping its bounds. Apparently only 2 "observers" will be in Austin. The local leftist grievance-mongers will follow them around town looking for who knows what. Let Chuck Norris, Steven Seagal and Ted Nugent step in for a peaceful citizens' arrest. Possible, very possible, in Texas. Sooner or later you have to draw a line in the sand. . . So if the "United Nations-affiliated election monitors from Europe and central Asia" witness voter suppression activities by say someone like the New Black Panthers I guess thaat would be OK given they are only looking for voter suppression activities by conservative groups. I will say it again, this is a F'ed up world we now live in. Aclu law suit claiming the Pubs are messing with the disenfranchised.